Super Bowl 52 will have special meaning for Tom Brady as he tries to claim his sixth Lombardi Trophy. The veteran quarterback returns to Minnesota, a place filled with many fond childhood memories. Updated: January 31, 2018, 5:45 p.m.
For Patriots quarterback Tom Brady, a Minnesota Super Bowl is something he never could have imagined. As a young child, milking cows on a farm and fishing the lakes of Minnesota were common summer activities when Brady visited his grandparents. The California kid always had small part of Minnesota in his blood. His mother, Galynn, grew up in Browerville, Minn., a small-town of 753. When Brady takes the field for Super Bowl 52, the world’s biggest stage will be just two hours from his mother’s hometown. During Brady’s press conference on Wednesday, he remembered making the yearly trip to his grandparents’ place, helping his grandfather, Gordon, with day-to-day chores. Before winning five Super Bowls and cementing himself as one of the greatest players in NFL history, Brady created some of his fondest memories in Minnesota. The star quarterback doesn’t make it back to Minnesota as much, but this appearance will have special meaning in multiple ways. Head coach Bill Belichick and quarterback Tom Brady are preparing to appear in their seventh Super Bowl as a duo, but this time around, Brady has a chance to win a championship in front of his ultimate support group. “Every time I’ve been back to Minnesota, I have such great support from my family,” Brady said. The now 40-year-old quarterback recalled spending time with his grandpa milking cows and going to the pasteurization tanks to learn the process of milk production. He quickly became accustomed to the Minnesota lifestyle, including fishing, hunting and milking cows. “Some of the great memories I had were growing up here and milking cows with my grandpa,” Brady said. During numerous trips, Brady even spent time on Minnesota’s lakes fishing with his family. On Tuesday, Brady remembered a special sun fishing trip with his uncles, in which he was introduced to chewing tobacco for the first time. “Little Tommy” made it just five minutes before getting sick outside the vehicle during a 30-minute car trip. It wasn’t the only memory Brady reflected upon during his return to Minnesota. Brady was accidently bitten by a dog while spending time on the farm. Little did he know, it was a simple mistake which led to the gash. Brady is returning to Minnesota for the first time since a September 2016 matchup against the Vikings at TCF Bank Stadium. He said he will try to accommodate all of the requests from local family members who want to watch him play on the biggest stage. 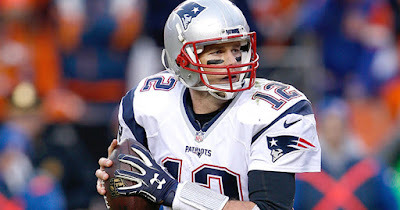 This time, the tickets will be more difficult to come by as Brady has the chance to win his sixth Lombardi Trophy. However, a championship would be even more rewarding for Brady this time around. He could claim sports’ ultimate prize in a state with personal meaning to him.